The 9 Best Pumpkin Picking Spots in Vermont! It’s fall in the Green Mountain State and that can only mean one thing. Cider? Foliage? Corn Mazes? Apples? Yes, all of that. But it also means pumpkins! Pumpkin picking patches in Vermont are plentiful and ready to be harvested. 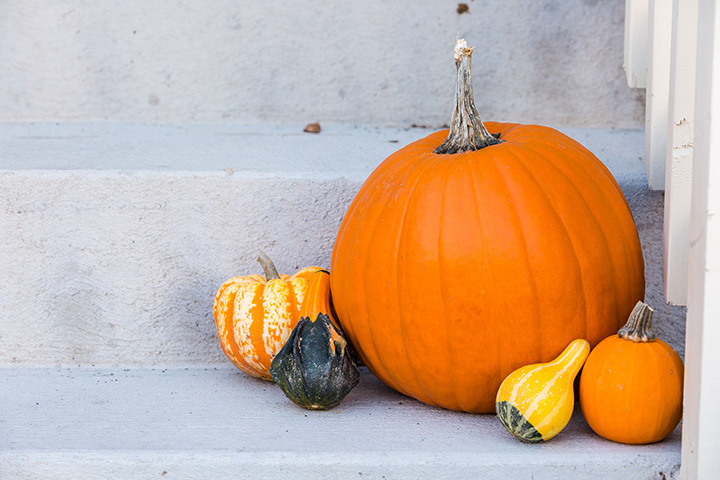 Whether you’re looking for one to bake up some pumpkin pie or pumpkin cookies or it’s a jack-o’-lantern you have in mind, check out these pumpkin patches in Vermont and take your pick! The Isham Family Farm has been continuously operating for five generations, and this community-minded working farm is always offering activities and events for the public. From sugaring in the spring to their quarter-of-an-acre sunflower maze in the fall, Isham’s has always for something going on. Plus you will find a large pumpkin patch, hayrides, cider, donuts, and more. At the Hathaway Farm, the corn maze opens the last weekend in July and runs straight through the last weekend in October. Of course, it brings with it a giant pumpkin patch, but that is not all. After selecting your pumpkin, visit their barn where you will find Haflinger horses, sheep, pygmy goats, and more. Plus, the farm always has the barbeque fired up and you are invited to stop by and try some brisket or fresh cider. Fall is a busy time at Sam Mazza’s, and you will find hayrides, pumpkin picking, a giant corn maze, pony rides, and more. Plus, don’t miss Harvest Weekend or the Giant Pumpkin weight in, as well as weekends full of music, snacks, face painting, and a family playground and picnic area. For a full detailed list of fall events please see their website. The Annual Pumpkin Festival at Cedar Circle offers family fun for all, and activities are headlined by pumpkin picking, horse-drawn wagon rides, cider pressing, live music, and food concessions. Plus, you will even find an “enchanted forest” with award-winning storytellers and storyteller-musicians. Winslow Farms offers a huge five-acre u-pick pumpkin plot every year, and this year is no exception. But, if picking it yourself is not your thing, stop by their newly-restored 1840s post and beam barn, where will find freshly picked pumpkins, mini-pumpkins, gourd, ornamental corn, and sugar pumpkins as well as fresh-squeezed cider and hot coffee. Established in 1921, Lincoln has made it a point to plant an entire field full of pumpkins for their annual u-pick event for many years. They even offer cups of hot mulled cider and a wagon rides to the patch, and, additionally, pumpkins are $.50 per pound and pie pumpkins are only $3. The ride is free and so is cider, so what are you waiting for? The Pumpkin Patch at Equinox Nursey is home to the annual Pumpkin Festival, which takes place the second weekend in October. But the patch is open mid-August through November, and it is chock-o-block full of thousands of jolly orange pumpkins. Plus you find other Halloween notables in the patch as well, like Mr. Scarecrow. And, when you return from your journey there will be fresh cider donuts and cider waiting for you. This pick-your-own-orchard was started in 1914, and apple trees were planted at the time. Although apples remain the main crop, spanning over 125 acres, you can also find 18 acres of blueberries and a large pumpkin patch in the fall. Plus, don’t miss fresh cider and homestead cheese at this very old Vermont orchard. Not only will you get a pumpkin education here, but it is a great place to pick pumpkins, especially the giant variety. With a four-acre corn maze and several acres of pumpkins to sort through, you are bound to find a pumpkin that is right for you. Plus the rich river bottom soil of the Winooski River grows the biggest and best pumpkins, so maybe you’ll want to go for a giant one.